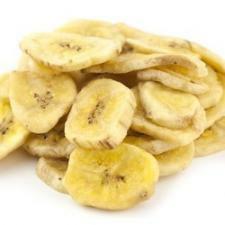 Sweetened Banana Chips are packed with the sweet, intense taste of banana. These crunchy chips make the perfect pick-me-up at any time of day. Try pairing these banana chips with mixed nuts and other dried fruits for a healthy snack that will keep your body energized and your taste buds happy. Ing: Banana, Coconut Oil, Sugar, Banana Flavor.